Easy Digital Downloads vs WooCommerce: Who Gets an Advantage? Nowadays, the fast development of the business world and eCommerce multifacetedness have passed to a new level. The shopping carts are number one solutions to help companies efficiently manage online shops, enhance sales and stay competitive. Since eCommerce world includes a wide range of platforms, it’s getting more complicated to find a right software to satisfy the business needs and fit organization budget. Your selection can be waving between EDD and WooCommerce solutions. So, let’s take a look at Easy Digital Downloads vs Woocommerce comparison to help you find the suitable shopping cart and cater e-store demands. 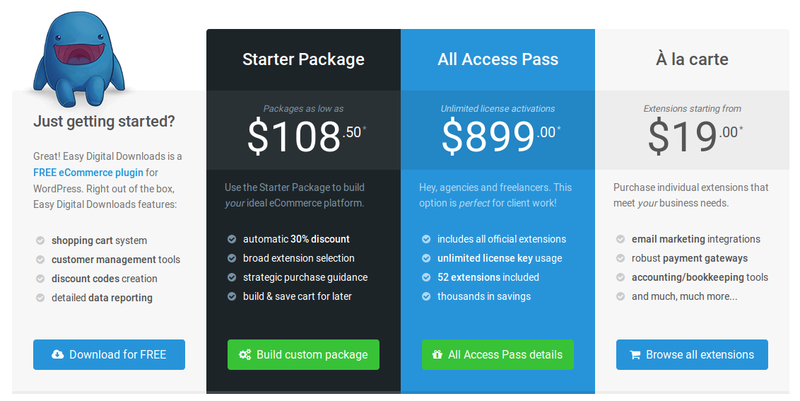 Both platforms are free eCommerce WordPress plugins that can help to sell products from your website. WooCommerce was designed by the WooThemes team, and has been bought by Automattic, an organization started by one of the original founders of WordPress. Easy Digital Downloads was created by veteran WordPress plugin developer Pippin Williamson, and is managed by a full team of support staff and developers. One of the main differences between the solutions is that WooCommerce takes an upper hand in more website categories and has better business and industry coverage, shopping, arts, technology and 241 others. Easy Digital Downloads hasn't got a lead over WooCommerce in any websites category, it is more focused on handling digital products, like eBooks, MP3s, and video content. Note, the correct extensions, both of them can be used for selling products and services of any type. 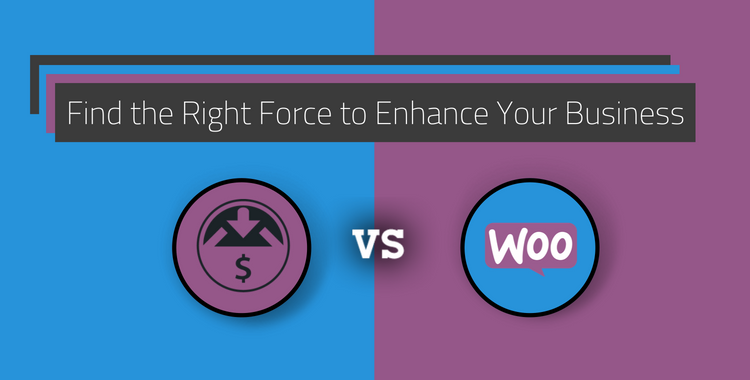 Due to the fact that WooCommerce is one of the most popular WordPress plugins, let’s dive deep into the differences between both platforms and find out why. Themes Choices. Solution includes a wide array of the extensions and templates available that helps you add more functionality to your online shop. WooCommerce’s vast collections of themes mean you get tons of choices to choose the website’s design and layout. Take advantage from Storefront free official theme that covers all basics. Inventory Management. Platform obtains the tools to easily manage your inventory and possibility to assign it to a store manager. Edit the products and related configurations to the particular product swiftly. Affiliate or External Products. Shopping cart provides you with an ability to add affiliate or external products to your e-store. Affiliate marketers can create product sites and the users the efficient experience. - restrict getaway modes based on billing country availability, or minimum transactions limitations. Support and Documentation. Solution offers the efficient documentation to help you set up and manage the plugin in a simple way. Use knowledge base, help desk, and community forums available. Themes Options. Platform works with many WordPress themes, and includes the built-in one designed for the platform. You can’t find so many choices WooCommerce obtains, but to take benefit from some impressive ones. Extensions and Apps. EDD includes a lot number of add-ons to boost your e-store capabilities: for payment gateways, platforms, and services, etc. Digital Goods. Solution is created from the ground up to sell digital downloads, unlike other eCommerce plugins that can be designed to sell various kinds of goods. Shipping Aspects. Shipping cart includes built-in Simple Shipping extension that adds some simple shipping features. This extension primarily for those people selling mostly digital products. However, this options doesn’t integrate with any shipping company. It simply collects the shipping location address and then the store owner is responsible for all shipping details. Support Choices. Solution includes the useful documentation, free support forums, videos, tutorials, and even an IRC chatroom. Get help with priority support option for premium users. Both platforms are free plugins, yet it is suggested to save a buck to get the additional spendings like paid extensions, themes, etc. Regarding WordPress, it requires no cost, but remember about hosting, domain name, and other items expenses to include in your budget. Lately, many eCommerce companies tend to migrate from one shopping cart to another. If you decide to perform WooCommerce import, use Cart2Cart automated migration service. Since the service is constantly evolving, you can take advantage of the new Cart2Cart update - Easy Digital Downloads Export. The SaaS offers you a possibility to run the migration smoothly and securely. There is a possibility to run a free Demo Migration to explore the service in service and features of your future software. Cart2Cart guarantees the total uptime of your existing platform and enables you Migration Insurance if you decide to launch the switch over to make any changes. Marketing magician and e-commerce specialist. Being open-minded, I always pursue to learn the new things and share my knowledge with others. In addition, I am a big fan of fencing and travelling!